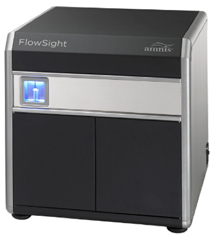 Amnis® imaging flow cytometers bridge the gap between microscopy and flowcytometry by combining the speed and sample size of flow cytometry with the resolution and sensitivity of microscopy in a single instrument platform unlike any other available for cell analysis. With up to 12 channels for each cell in a population, microscopic images provide qualitative and quantitative image data of every event acquired in flow. 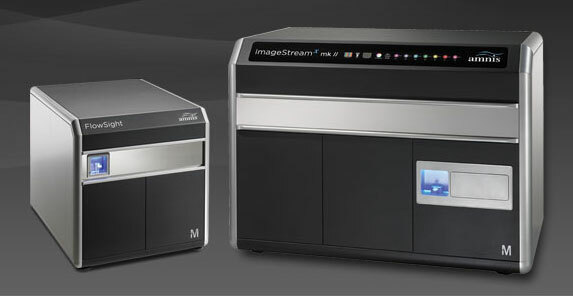 Choose from two instrument platforms as per your research needs. 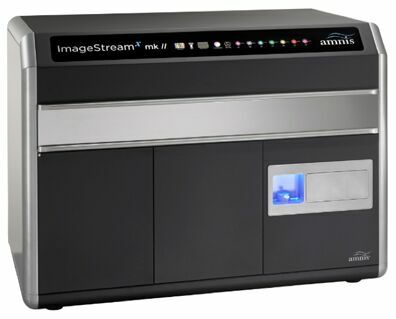 It displays exceptional flow capabilities with visual confirmation provided by imagery of every cell. Identifying cell conjugates or distinguishing single cells from doublets and debris has never been so effortless. It combines the speed, sensitivity, and phenotyping abilities of flow cytometry with the detailed imagery and functional insights of microscopy. This unique combination enables a broad range of applications that would be impossible using either technique alone.